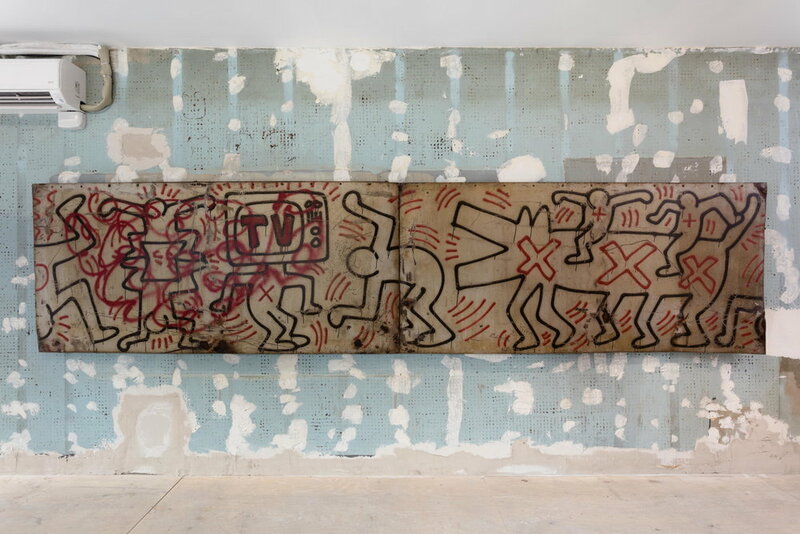 Image: Keith Haring, Untitled (FDR NY) #3 & #4, 1984, spray enamel paint on metal, 48 × 204 × 3 ¼ in. 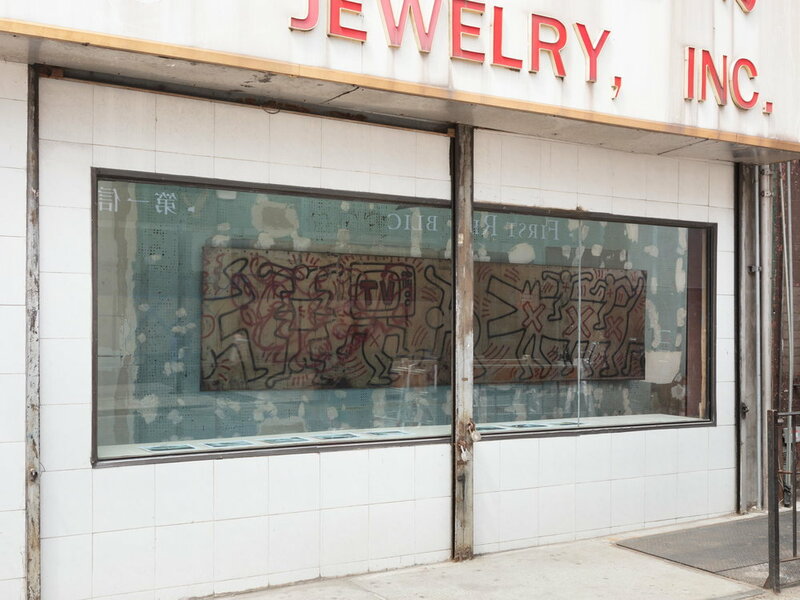 99 Cents Fine Art is pleased to announce the installation of a significant section from the Keith Haring mural, Untitled (FDR NY), 1984, at our temporary location, 167 Canal Street. 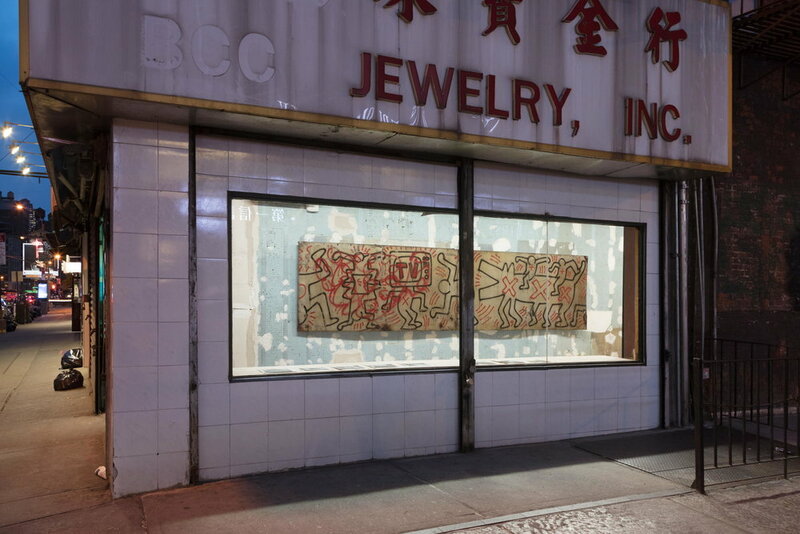 In keeping with Haring's desire to make art available to everyone, rather than in a gallery, we are presenting two of these steel panels that once lined the FDR Drive in a storefront in Chinatown, a neighborhood Haring frequented from his nearby studio on Broadway. 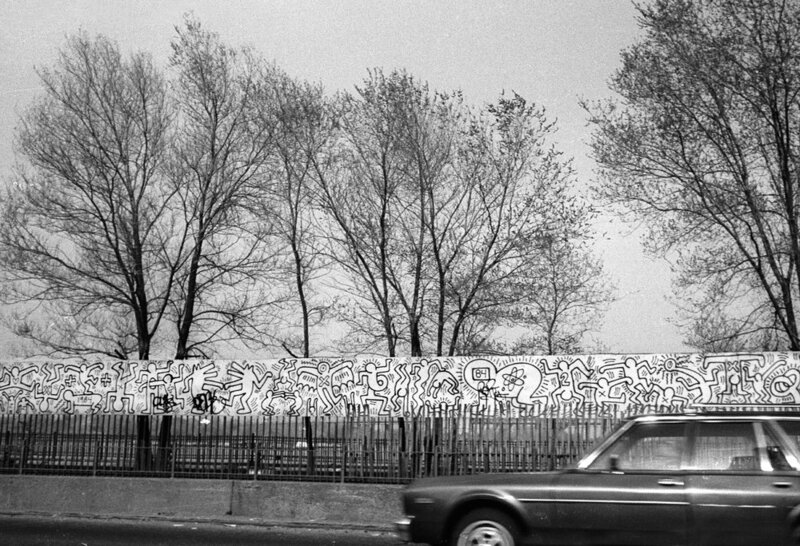 Created in situ on a preexisting fence, the work is part of a monumental frieze that ran along nearly 300 feet of the New York City highway and was visible for most of a year. 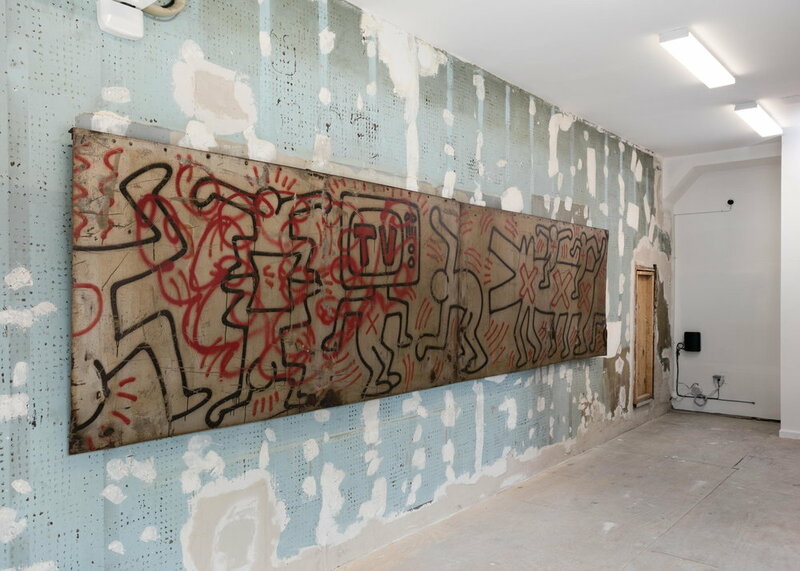 Haring, who worked frequently in public, placing his work in the world, once said, "If I only made paintings in a gallery, I would probably be frustrated." 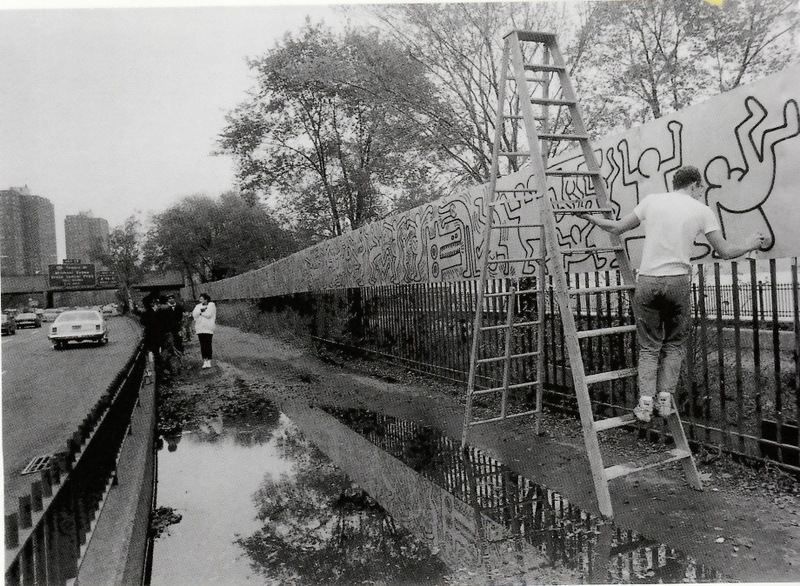 The left-hand panel, partially graffitied after the mural's completion, further evidences the world in the work. 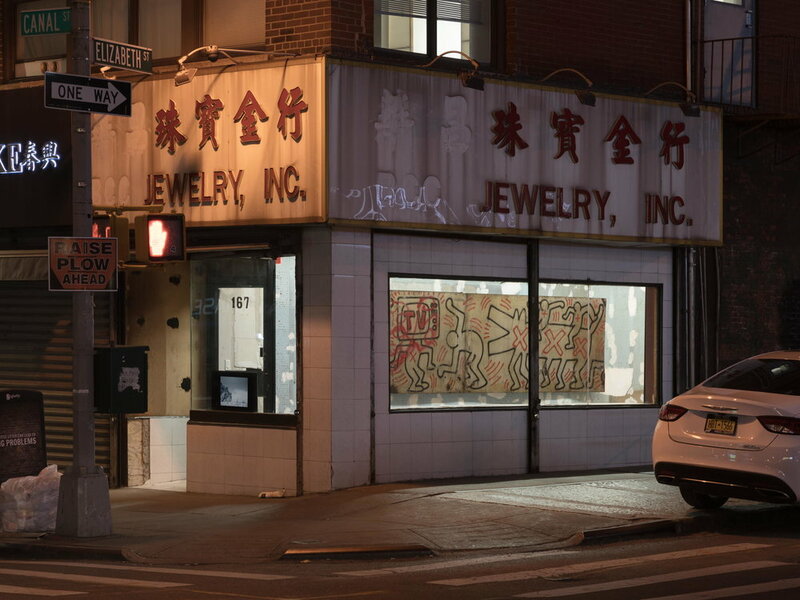 The panels are animated by Haring's exuberant iconography–dancing and breakdancing figures, a figure with a TV set head, and a large barking dog. 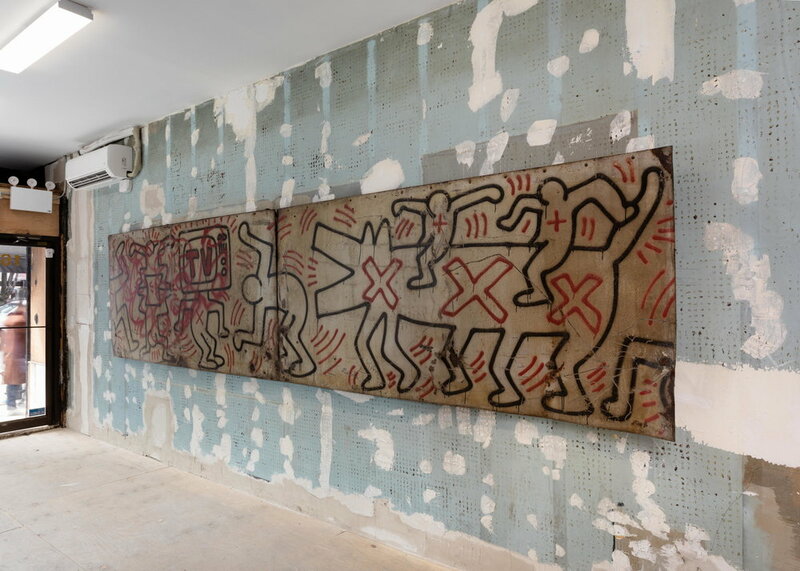 In 1989, when Haring saw numerous panels that had been rescued, he wrote in his journal that after all the mural had been through, its well-weathered condition "somehow ... makes it look even better." 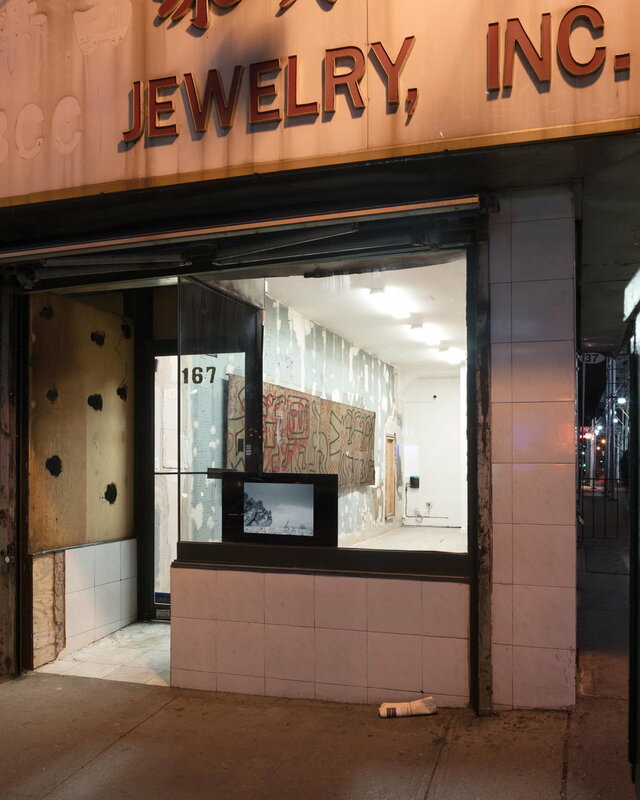 The panels will be on view at 99 Cents Fine Art through April 28th. 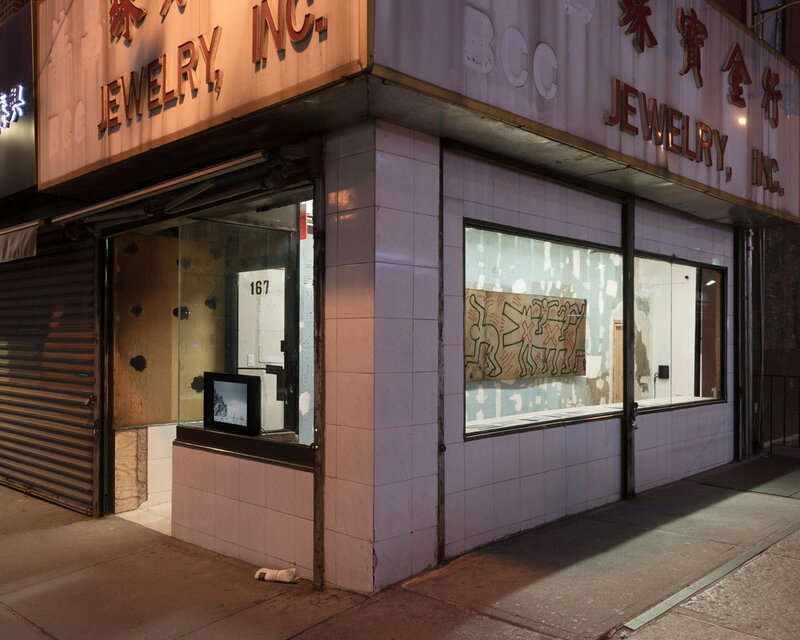 For further information and images, please contact info@99centsfineart.com.